Lok Sabha Elections 2019 has begun with contesting for 91 seats across 20 states going to vote in the first phase elections to elect the 17th Lok Sabha. 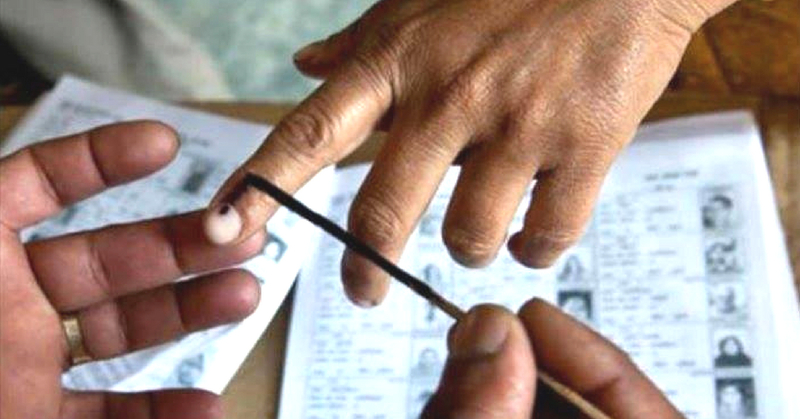 Polling in Arunachal Pradesh, Andhra Pradesh, Sikkim, and Odisha will go in a single phase. Nagaland BJP’s Deputy CM Y. Patton, brazenly violates the Model Code of Conduct! In Lakshadweep stood at 51.25%, in Uttarakhand at 46.59%, in Manipur at 68.90%, in Maharashtra’s Nagpur at 38.35% and in Uttar Pradesh 50.86%. Mizoram is 55.20%, in Tripura West parliamentary constituency is 68.65%, in West Bengal is 69.94%, in Odisha is 57%, in Andhra Pradesh is 55%, in Arunachal Pradesh is 50.87%, in Sikkim is 55% and in Jammu and Kashmir is 46.71 %. Zero Polling reported in 15 booths in Odisha’s Malkangiri due to Maoist fear. “We are very confident that both Agatha and Mawthoh will win this election as people have reposed faith in the government,” Conrad told IANS after casting his vote. Voter turnout till morning in Uttar Pradesh’s Saharanpur- 13.08%, Kairana-11%, Muzaffarnagar-12%, Meerut- 11%, Bijnor – 11.40, Baghpat – 10.19%, Ghaziabad – 12% and Gautam Budh Nagar-10.70%. We appeal to every eligible voter to participate in this festival of democracy called elections by exercising your right to vote. “Undercurrent for Modi,” said BJP leader Sangeet Som and added that the BJP will win 7 out of 8 constituencies of first phase polling in Uttar Pradesh. 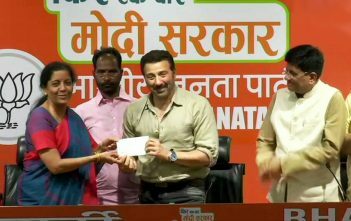 He further added that“People are with BJP in the rural area,”. Chief Minister of Andhra Pradesh N Chandrababu Naidu casts his vote along with his family in Guntur district.